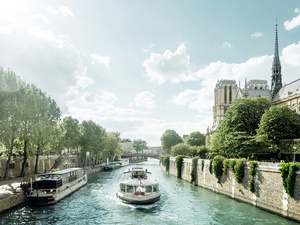 The Center for University Programs Abroad (CUPA) provides an intense language and cultural immersion experience in Paris, the City of Lights. Students may take in-house courses or direct enroll in some of Paris' best universities and grandes écoles. CUPA advisors work closely with students to provide a rich intellectual experience in keeping with their home instution's requirements. Please come and meet with Tary Coppola, assistant director of admissions and outreach, to learn more about about studying abroad in Paris with CUPA.